For concrete pumping done right, trust the professionals who have been doing it since 2001! Tri-State Pumping, Inc. offers pumping for residential and commercial projects alike, spanning foundations, patios, retaining walls, sidewalks, slabs and much more. We’ve got the skills, equipment and customer service focus to best serve you. Contact us today for a free estimate. Properly poured concrete is the solid, stable foundation of many projects—from retaining walls, to patios, to actual foundations! If you’re approaching a concrete project, make sure it’s being undertaken by industry experts with a focus on excellence. At Tri-State Pumping, Inc., we guarantee all concrete pumping in Sioux County, IA we perform is done to the highest standards of excellence. Our teams are backed by years of concrete pumping experience and some of the best, most versatile equipment in the industry and we’re ready to get to work on your job! 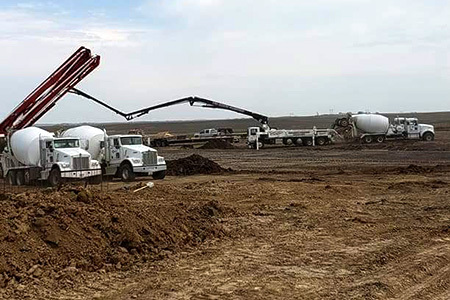 No matter the size or scope of your project, our concrete pouring company serving Sioux County, IA will make sure it’s completed thoroughly and to perfection. 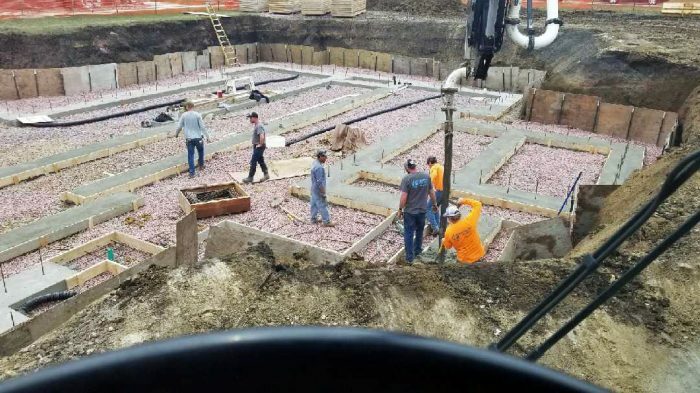 From major projects like foundation pouring and commercial retaining walls, to simpler jobs like pumping for sidewalks and slabs, we approach every project with high standards. We’ve even got different equipment to ensure we’re pumping the right amount of concrete as quickly as possible, with the least amount of mess. We also work with care, adhering to all DOT, OSHA and ACPA safety standards to avoid any setbacks on your jobsite. When you choose to work with us, you’re making the responsible choice for a quality job well done. We’ve been a family-owned and -operated concrete pumping service since 2001, serving the needs of our local customers throughout the region. We operate a great range of equipment, helping us to meet the needs and expectations of our customers, no matter the job. Our business is affiliated with the American Concrete Pumpers Association. We welcome residential and commercial concrete projects of all sizes and can tailor our service abilities around the specific parameters of each job. Count on us to provide you with a free estimate on any project and to stick to that estimate, without any hidden fees or costs.